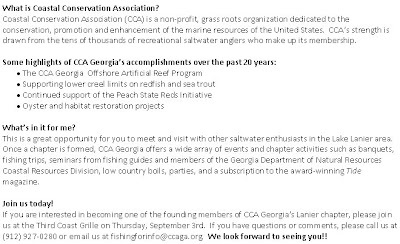 We received info about this meeting to form a Lanier chapter of CCA Georgia and are planning on attending and thought some of our readers might likewise be interested. More info about the organization can be found on their website. Two fun days in Blue Ridge! Tallulah River - Fishing Great! The Irishman and the river!